Well folks – I’m typing this while sitting here on the plane on my way to Tampa (Florida) to HSN ready to launch our new machine – the Diamond Press on HSN on Monday evening! You are going to LOVE it when you see it! In a nutshell, it’s a mini (and I mean truly mini!) die cutting and embossing machine. It’s so small it can fit into your handbag (or craft tote) and it’s super easy to use! It doesn’t have any ‘plates’ like a regular die cutting machine does, instead you cut inside a folder (like an embossing folder) so you literally pop your card/paper over the die and into the folder and in just 3 simple turns of the handle it’s cut! The cutting area is just shy on 2 inches wide, and the machine comes with 2 different length cutting folders. 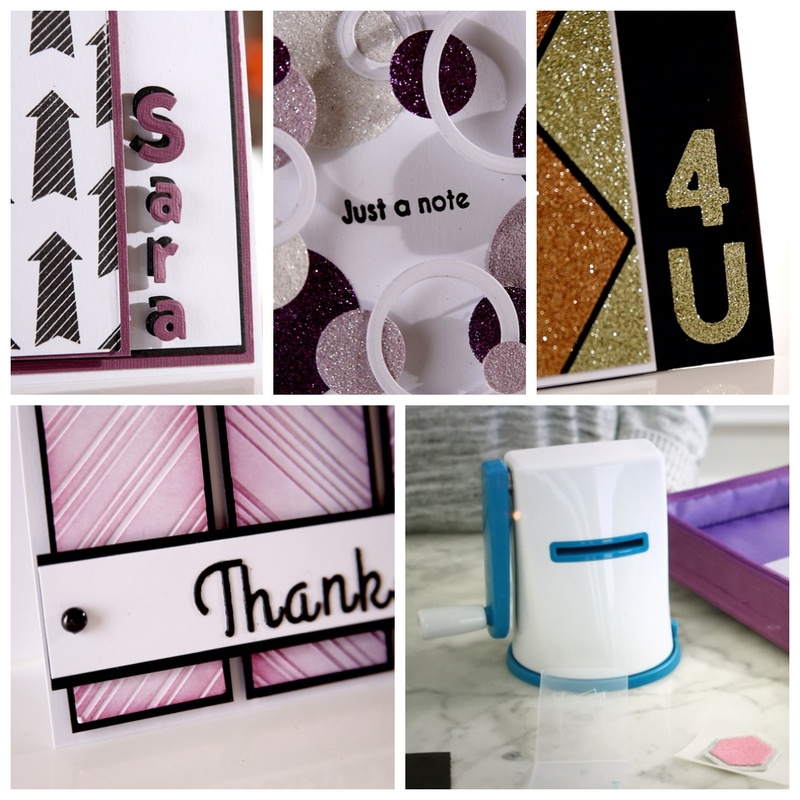 We also have a fabulous collection of dies and embossing folders that go with it. US friends – oh…. My…… word……. You HAVE to tune in to HSN on Monday evening for the launch – I know it’s at midnight EST and that’s super late for you east-coast folks, but trust me it will be worth it! You can’t afford to miss out on the deal that HSN are offering! 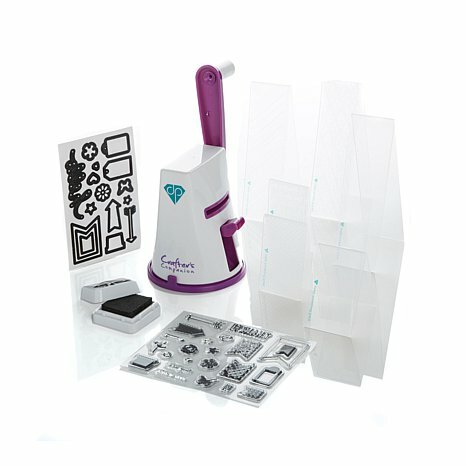 Not only do you get the machine and the special cutting folders, but you also get dies and embossing folders included in the kit too! And I can’t tell you yet what the price is going to be, but basically whatever you think it should cost you can HALF it! For anyone new to the world of die cutting, then this is absolutely the most affordable way to give it a go! And for all the rest of us die-cutting-die-hard enthusiasts, then you just have to have one of these because they are so portable, lightweight and convenient! I’ve had one now for about 2 months and I can tell you I look back now and I don’t know how I managed before I had it! It’s so convenient for the little cuts (like our mini word dies) and if you treat yourself to the nesting dies that work alongside it, and the alphabets then it’s perfect for personalisation! 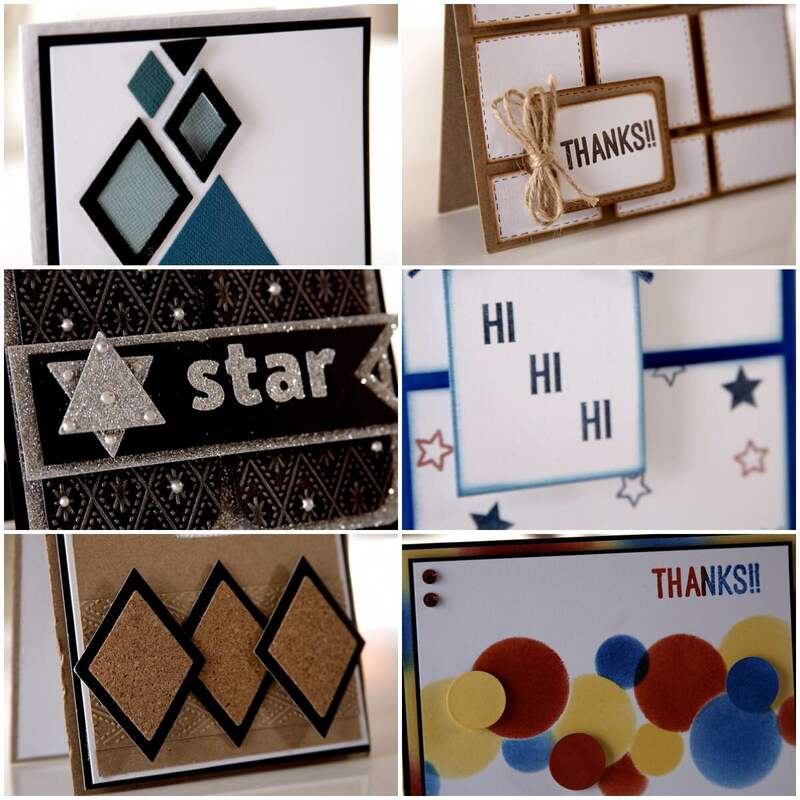 Here’s a sneaky peak at some of the amazing samples the team have done for me to show on the launch…..
And as promised, I’ve had 5 of the HSN launch kits shipped to our UK office to be able to give away to my UK friends. If you’d like to be in with a chance of being one of the lucky winners, then all you need to do is leave a comment below about why you would like one of these machines and I’ll pick 5 winners at random on Friday this week and post them on here! US friends – I’m also doing a giveaway of 5 machines over on our US facebook page – click here to go and enter!